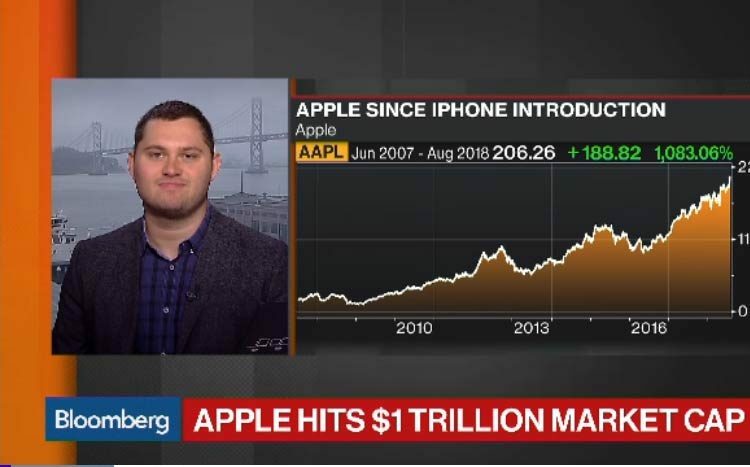 Apple Inc. became the first U.S.-based company with a market value of $1 trillion, four decades after it was co-founded by Steve Jobs in a Silicon Valley garage and later revolutionized the worlds of computing, music and mobile communications. The shares rose 2.9 percent to close at $207.39 in New York on Thursday, propelling the consumer-technology giant’s market value to $1.002 trillion. PetroChina Co. briefly crossed the trillion-dollar mark in late 2007, but slumped quickly as oil prices collapsed in the financial crisis. Other tech giants are not far behind Apple today, with Amazon.com Inc., Alphabet Inc. and Microsoft Corp. worth more than $800 billion each.